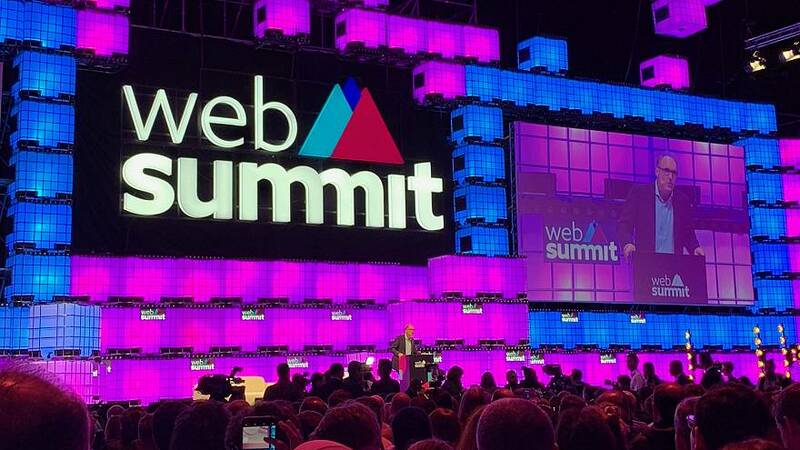 The inventor of the World Wide Web has called for an end to the digital divide and for the web to be free and fair for all in his keynote speech at Web Summit in Lisbon. Sir Tim Berners-Lee asked governments, companies and individuals to sign up to his World Wide Web Foundation's 'Contract for the Web', which would ensure that everyone can connect to the web in an affordable and respectful way. At the moment about 50 percent of the world is online, while the other half of the planet lives offline. Many face connection prices that are prohibitively expensive, or controls on their access to the whole web. Berners-Lee famously wrote a paper in March 1989 while at nuclear research centre CERN in Geneva calling for a new system for information management, which became the World Wide Web as we know it. "People assumed it would lead to better humanity," Berners-Lee smiled. "We got Wikipedia, we got blogs, we got cats". In that climate, what could go wrong? "Well, all kinds of things have gone wrong. Problems with privacy, use of personal data, people being manipulated by fake communities, fake people and fake ideas. So there are lots of issues with the web," he warned. Berners-Lee's 'Contract for the Web' already has some high profile backers, including Google and the Government of France, with the tech-savvy crowd at Web Summit clearly lapping up his call for the web to be reorientated back towards its original goals of openness, freedom, equality and respect. The speech opens a three-day event which draws almost 70,000 visitors and 1,200 speakers to the Portuguese capital every year. For the 2018 edition attendees can also expect to hear from key figures, such Evan Williams, co-founder of Twitter and now Medium.com. The event does a good job of drawing in big names from outside the W.W.W. world to spice up the debate. This year the crowd will hear views from Princess Beatrice of York, F1 champion Nico Rosberg, former football star Ronaldinho, Major Lazer music producer Christopher Leacock and former British PM Tony Blair. A few friends of the event are also in attendance, such as António Guterres, the UN Secretary General, and the European Commission's headline-grabbing competition watchdog Margrethe Vestager. The robots and their masters are taking to the stage too: Ben Goertzel, Chief Scientist at Hanson Robotics will be accompanied by Sophia the Robot and Han the Robot, the human-like beings with their AI-powered brains. WebSummit is the brainchild of Irish entrepreneur Paddy Cosgrave, and has grown from a 400-person meet-up in Dublin to a global event anchored in Lisbon. Its presence in the Portuguese capital is now guaranteed for the next 10 years, in a deal signed between the event organisers and the government. The state will now fund the event to the tune of 11 million euros per year as Portugal seeks to position itself as a post-austerity technology hub, and to take advantage of the projected growth in popularity of WebSummit over the coming decade. Not everyone is happy with the tech event's presence. Alongside the usual grumbles about traffic jams and high hotel prices, the opening ceremony saw a small demonstration by teaching and police unions criticising the government's spending plans and demanding better pay and conditions. However a planned strike by Lisbon metro workers to coincide with the event was called off on Monday. Euronews is media partner at WebSummit and will be covering the event across its broadcast platforms throughout the week. Are vertical farms the answer to healthier, longer-lasting food?